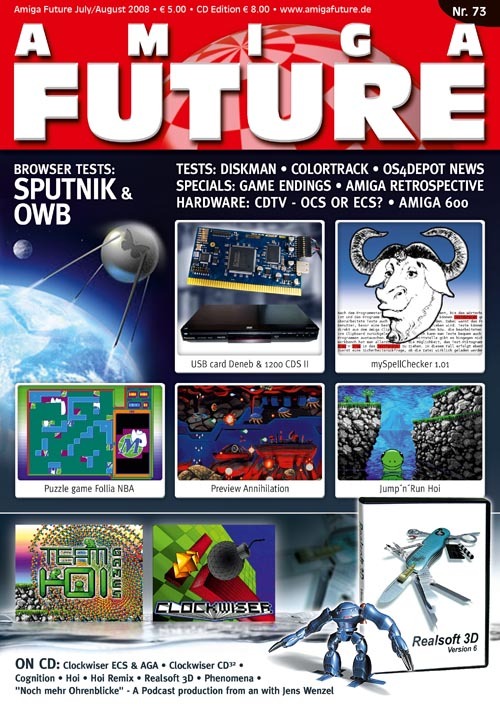 Amiga Future 73 was the seventh issue of Amiga Future that was available in German and English (both editions are otherwise identical). Game Endings, Amiga Retrospective Part 7. Deneb, CDTV, Modding Amiga 1200, Amiga 600 Project. Interview NatAmi, Interview Thilo Köhler, Up2Date, News, Tamar Herald, Solution Gobliins 2, CoverCD Content, Readers letter, Preview, Editorial, Imprint.